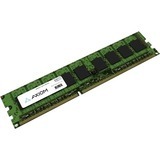 Axiom system-specific memory offers guaranteed compatibility within every supported system. Each module is designed, tested, and manufactured under the most stringent quality standards. Using only tier-one components and printed circuit boards (PCBs) provides the additional assurance required for mission-critical applications and integration projects. Axiom delivers when end user procurement policy mandates additional qualification testing and consistent quality process controls.